Master P, Zaytoven, Yung Joc, Bone Thugs-N- Harmony, Johnnie Cabbell, Erick Sermon, Redman, Jermaine Dupri, Angel McCoughtry, Jessica White, DC Young Fly, Young Joc, Big Block, Lil Boosie, Ryan Henry of Black Ink Chicago, Cash Out, London Jae, and more. 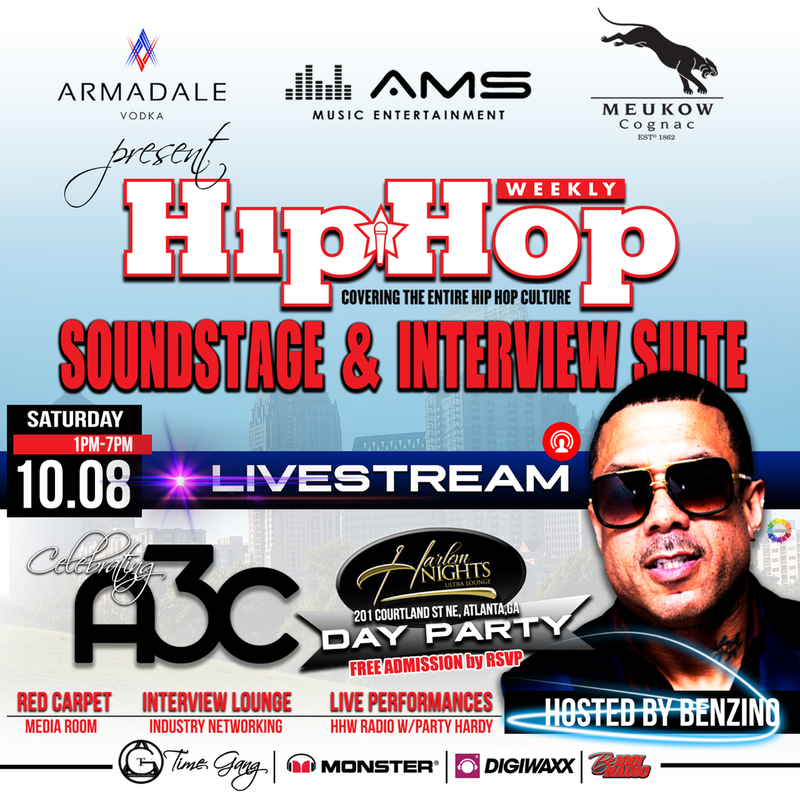 In celebration of the 2016 A3C Festival in Atlanta, Hip Hop Weekly will host their acclaimed soundstage and interview suite. This event will invite celebrities, entertainers and industry professionals out to mix, mingle and have the opportunity for a one on one interview with Hip Hop Weekly.